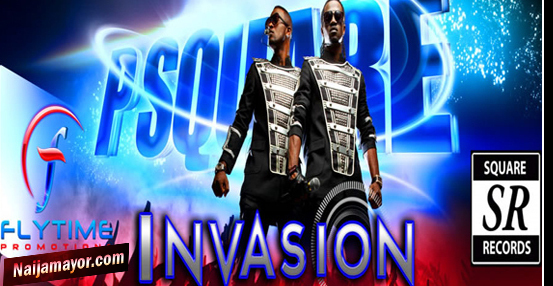 P-square: A Familiar Invasion | ItuaLive! How do you improve on a working formula? According to Peter and Paul, you don’t! The twin brothers are back for the fourth time in 10 years and if you missed any of the previous installments, relax, nothing has changed. Just slot in the CD and you will be transported back into their history, one replete with average beats, weak lyrics, weak vocals, and a weak imitation of popular songs. The only feature that might stand out as not “weak” is the packaging. Yes, the brothers might not be wildly imaginative but they do know a lot about packaging- more thought was put into the CD cover and costume than the entire album lyrics. There is also some diversity on who they imitated for this album. In the past it was R&B artists like Craig David or Keith Sweat. Now, almost distinctly, Savage Garden is here on the hook on the first song, Beautiful Onyinye – a follow up to the success of Ifunanya and No One Be like You. If the matrimonial use of Ifunanya and No One Be like You were inadvertent, trust Peter and Paul, there would be no ambiguity this time- they let this one go all out. ”Nne meh na the girl I wan marry/the girl I wan carry” later the song implores the in laws to wombolo wombolo eh– whatever that means. The boys just don’t stop. The album is not only a throwback to where music has been, it is also a face of what is. The present techno beat craze finds a spot too, actually several spots: Jeje and Anything. There are no musical or lyrical achievements here, if you like a song here it is because you have liked an earlier T-Pain or Plantashun Boiz or Faze or even P-Square song. The real achievement is how they have survived this long on the same formula. Hehe! I love your review! Replete with sarcasm but the best i've read so far!